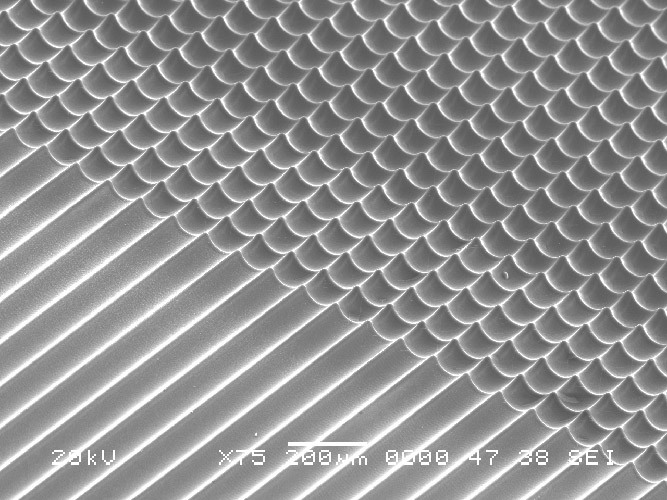 Laser patterning is the repetition of a given motif to generate 2D or 3D features that can then be used for different applications such as micro-lens arrays, inertial microfluidics, etc. 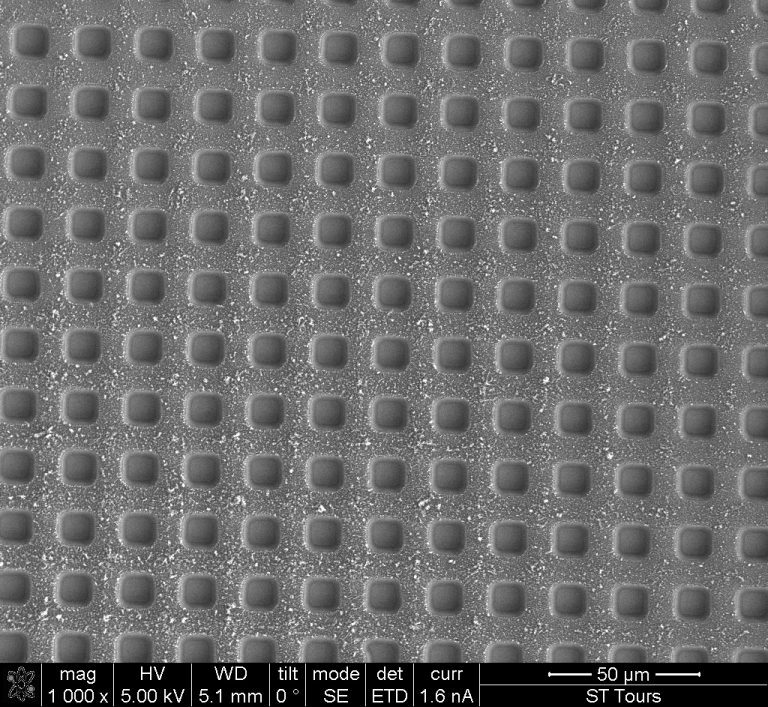 For optimal results, the motifs must be exact copies of one another and positioned with high precision to yield a seamless, matrix array of the motif as seen in this image. Optec Laser Systems is a leading manufacturer of excimer laser micro-machining systems that are particularly well suited for this application. 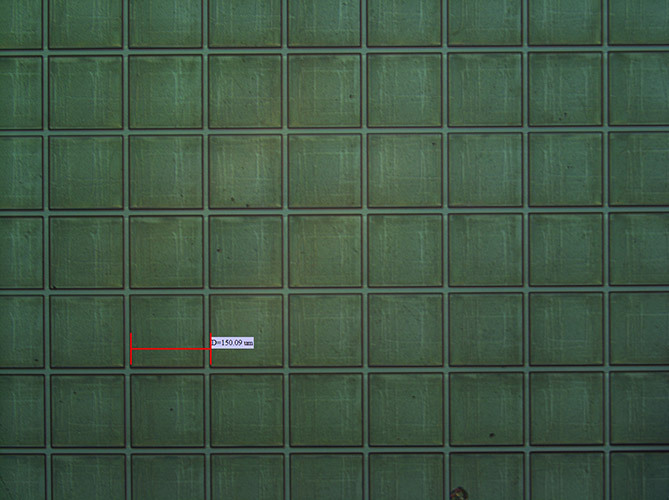 Using an imaging principle in which a mask is illuminated by the laser beam and “projected” onto the sample surface one can achieve excellent repeatability and uniformity over the processed area. Our patterning systems range from compact, versatile R&D stations to large machines capable of high production.